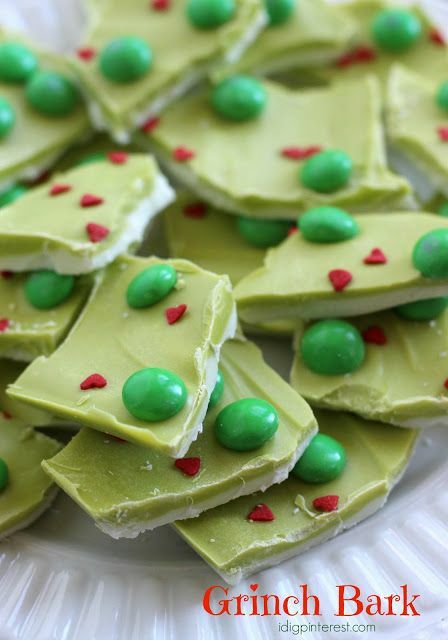 He wasn't in the original line-up of characters but I had an extra day so how about some Grinch-mas party ideas? Invitations - the link to the Etsy shop is in the post but the shop is on vacation at the moment - I hope she offers these again, they are so fun! 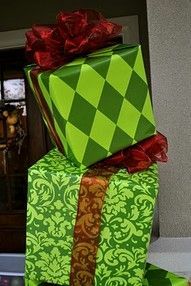 How cute is this and how simple? 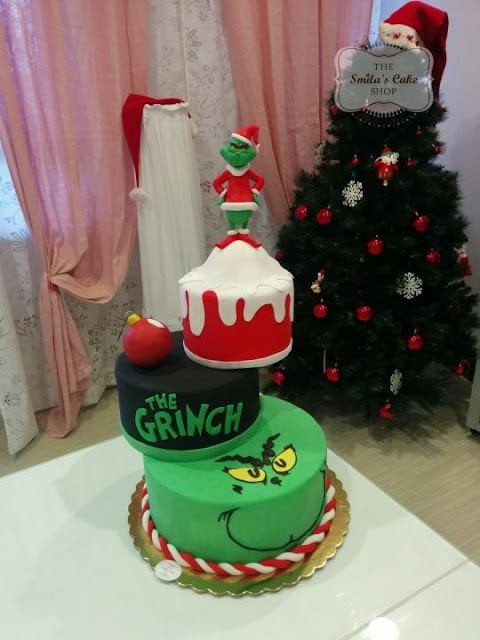 These are just a fraction of the incredible Grinch ideas that are on Pinterest - oh my goodness, there are some talented people out there! 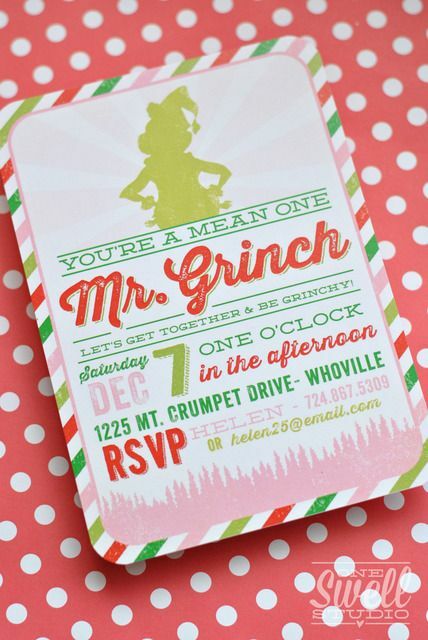 Such cute Grinch items. Also love the ornaments in the window. How cute! This is a fun post. 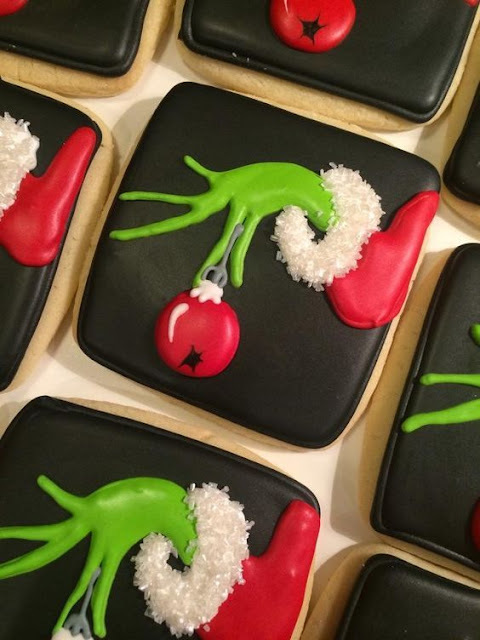 Those cookies must be decorated with royal icing. I wouldn't even attempt it. 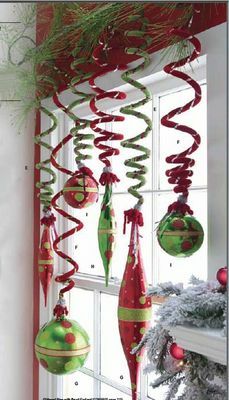 I like the hanging ornaments the best.